James Mathis, age 86 of Smyrna, formerly of Marshall County, Kentucky, passed away on Monday, April 30, 2018. A native of Marshall County, Kentucky, he was born to the late Rev. E.A. Mathis and Beulah (Gordon) Mathis. He was married to the late Betty Ruth (Jones) Mathis, who he married on November 24, 1949 until her passing in 1997; and married the late Mary Jo (Anderson) Mathis in January 1999, until her passing in 2005. Mr. Mathis had been a plumber for most of his life and enjoyed being a private pilot, hunting, and fishing. He was a member of the Unity Cumberland Presbyterian Church. 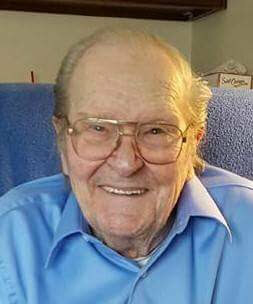 He is survived by his children, Ron Mathis (Charlotte) of Hendersonville; Robert Mathis (Janice) of Parsons, and Shari Sherfey of Nashville; five grandchildren; thirteen great-grandchildren; and five great-great grandchildren; brother, Joe Mathis (Geraldine) of Murray, Kentucky; a niece and a nephew. Funeral service will be conducted on Thursday, May 3, 2018 at 11:00 A.M. from the chapel of Anderson Funeral Home with Ron Mathis officiating. Visitation will be held on Wednesday, May 2, 2018 from 5:00 P.M. until 8:00 P.M. and on Thursday, May 3, 2018 one hour prior to the funeral service. Interment will follow on Friday, May 4, 2018 at 12:00 Noon at the Unity Cumberland Presbyterian Church Cemetery in Hardin, Kentucky where family and friends will serve as pallbearers. Memorial donations are suggested to the St Jude Children’s Research Hospital, 501 St. Jude Place, Memphis, TN 38105. Arrangements entrusted to the Anderson Funeral Home, 202 East Main Street, Gallatin.